Comments are essential to a blog. It can be used to determine a blog’s quality. Without comments, there won’t be any discussion going on on your blog. However, a study shows that most of the blog visitors don’t comment. 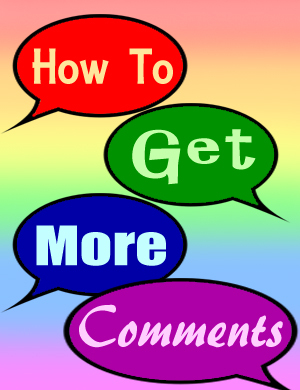 And so, here are 11 tips on how to get more comments on your blog. Especially small blogs. Most bloggers visit their commentators’ websites, so if you comment a lot, the bloggers might return the favor and comment on your blog too. But remember to leave quality comments too! Click here for more tips on commenting on other blogs. I’ve seen many blog posts like “10 Influential Bloggers of 2010” and most of the people, who know that they are recommended, thanked the author of the post for putting them on the list. So, the bigger the list, the more comments you get! But don’t forget to tell them that they are on the list, though. Question blog posts, like this one, which is recently published on Problogger, tend to generate tons of quality replies. It is because the reader probably knows the answer and wants to contribute. If you post less frequently, the latest blog post stays on top of the blog for some time, which makes time for more commentators to comment. But if you post too frequently, the post will be pushed down and it won’t have much exposure. It also gives your readers information overload. Bloggers visit their friends’ blogs quite often and sometimes they comment, so if you make lots of blogger friends, more people might comment on your blog. 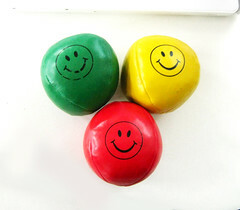 If you reward your commentators, they might comment again on your blog because they like your present. One way to reward your commentators is to install the “Top Commentators Plugin” to show off your most frequent commentators and give them a dofollow link. Another way is to post their comments on your posts if they are good. Ask your friends to trade comments, which simply means commentating on each others’ blogs. If you reply to your commentators, they will feel noticed and might reply and comment again. But if you don’t, they might feel neglected. In other words, do your best to reply to every comment on your blog! If you write quality posts, it will bring in more traffic. And more traffic means more people will comment. But be sure to also promote your quality posts too! If all else fails, simply follow the old saying, ask and you shall receive. So, ask your friends to comment (by instant messaging them, DMing them on twitter, or sending a ‘please comment’ update on facebook), and they most probably will. This is somewhat similar to the point above. Ask your readers to add another point to your post, and if the answers are good, add them to the post! So, uhh, do you know of another way to get more comments on your blog? If so, please comment and I add your answer here if I like it . Good points! I like no.7 “I comment for you, you comment for me” . I would like to add another point, “Never ever doing SPAM on your friend’s Blog”. I’d come across and felt frustrated with less visitor, more visitor means getting chances of comments will increase. Also using a plugin like Comment Luv May encourage readers to comment because they will get a anchor text rich link back to their blog from one of their recent posts. This will not only encourage then to comment but also to comment more often or on future posts. One more… if your blog is “do follow” state that it is do follow on your blog. To many bloggers this is an additional benefit since their link will get credit or “link juice” when the search engines follow the link. And yes! Be generous in supporting others. Good karma. This is a pretty good post. ‘post less often’ is a good point, which I know and hear from other people to be effective, especially when it’s a paid post and the blogger wants more exposure. I’m gona share a personal experience on a blog that I read. Apparently she has hundreds and nearing thousands of readers, daily. But you’ll see that she gets close to zero comments. Surprising? Not really, cause she repeats the same topic over and over again..so people actually visit her blog for the wrong reasons. She probably will be getting hate mail soon enough lol. Hi there. 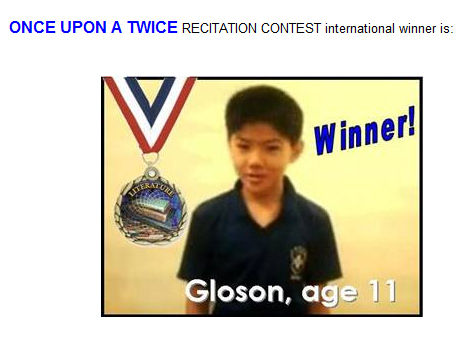 Last week, I was quite busy with the Once Upon a Twice online YouTube recitation contest. Once Upon a Twice is a creative Jabberwocky-like poem written by Denise Doyen. The book tells a story of a young and adventurous but naive mousling called Jam, who gone through a thrilling experience of life. So one day, I received an email from the author who got to know me through my action poems on Youtube. She invited me to join the contest, which I happily agreed. 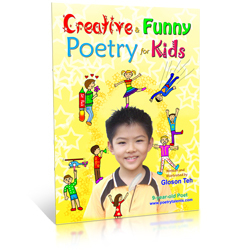 Because the poem was so creative, I was motivated to compose music and songs to the poem too. It’s my first time composing a song by the way, and I really enjoyed the process! Due to some busy events, I almost couldn’t enter the contest, which ends on 10th October 2009. Luckily, my mom encouraged me and I was able to act out and upload the video at 3:30 pm 10th October 2009, Pacific Time. Update (12 October 2009): Huray! I have been just informed that I am the international winner of the contest. Thank you very much to the author who has created such a wonderful poem. I really enjoyed creating the performance!